Note: If you do not receive a confirmation email in your inbox from "Ontario SPCA Spay/Neuter Services" (spayneuter@ospca.on.ca) within half an hour of submitting this form, please check your spam/junk folder. If you still cannot locate a confirmation email, your registration was not properly recorded by our system and you will need to resubmit the form. Please complete all fields below and click "Submit Booking" to have your pet placed on the Ontario SPCA Spay/Neuter Services waiting list. (One submission per animal.) Your information will be placed in sequence on the applicable waiting list; please be patient as staff members work through each list and contact each person in chronological order to book an appointment. *If you are a rescue/adoption group, or you are looking to make an appointment for a feral (wild) or barn cat, please contact your nearest clinic immediately to discuss booking options. 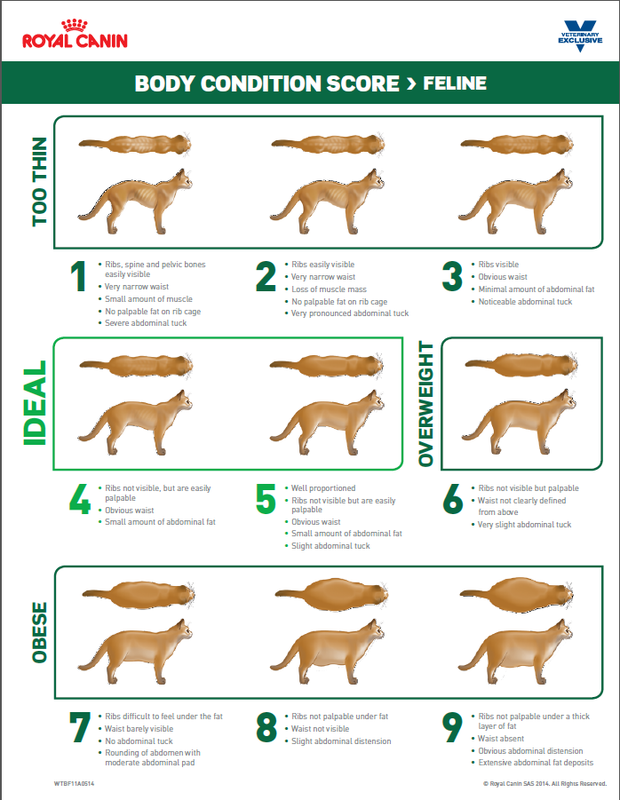 **If your dog or cat is pregnant, please contact your nearest clinic immediately to discuss booking options. * Please note, we are unable to accept pets over the age of 5 years. *12. 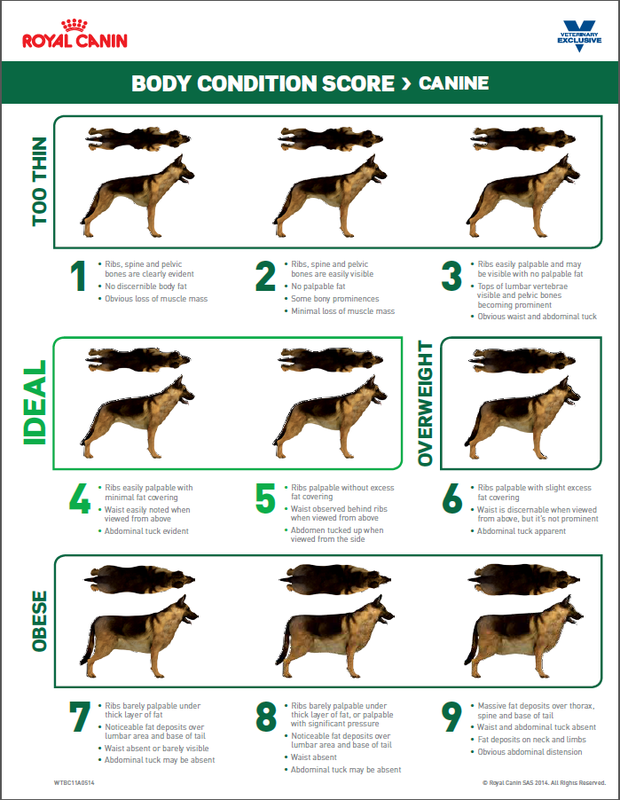 Question - Required - Does your pet meet the "ideal" body condition as per the following chart?